Feeling little tired but happy as I have just now completed my WP 5k 2016 walk ( #WWWP5K ) !! If you aren’t aware of the WP 5k 2016, it’s a 5-kilometer run/walk/hike/hop in between September 19th to September 25th. Wherever you are, whatever you are doing, if you are anyway involved with WordPress, just participate and blog about it. Today morning I thought about taking part in the Worldwide WP 5k 2016 by walking the distance of 5 Km. Started off from my home and went to the Buddha Park and walked until I cover the WP 5k 2016 🙂 It’s really awesome to get up early and walk around that too for WordPress’s Worldwide WP 5k 2016. 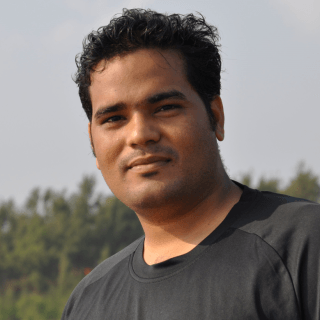 I have been involved with WordPress for more than 5 years now, currently working as a WordPress developer at Axelerant. Love to unite with worldwide bloggers, runners, WP developers !! Here is the map of my walk ! !